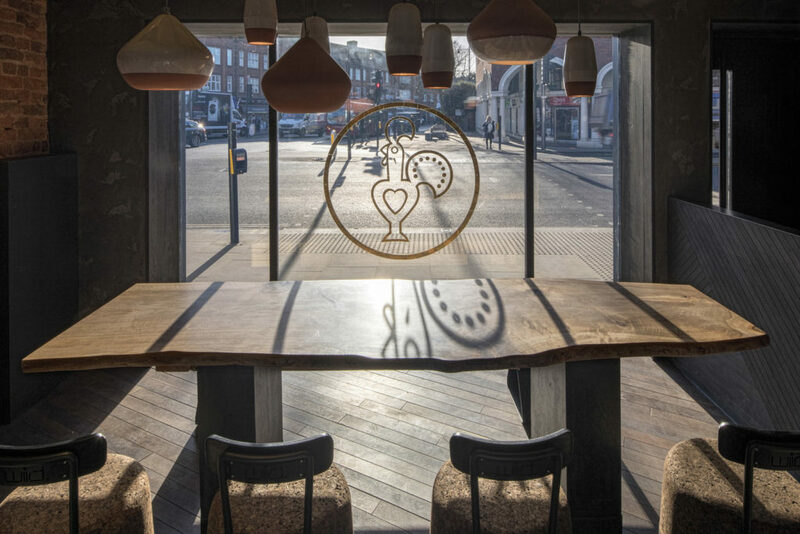 We have produced several commercial bespoke furniture pieces for the world’s first ‘Nino’ Nando’s restaurant in Twickenham, London. What is Nando’s nino we hear you ask? Nando’s nino is a bit different. 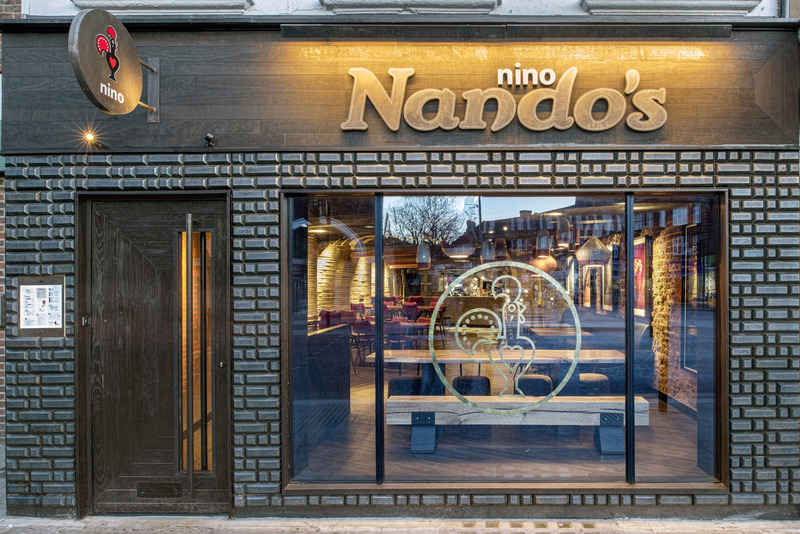 The first Nando’s Nino has been launched in Twickenham in January 2018 and is designed for when you’re in a rush, on the go, want a quick bite, a takeaway, delivery or to meet up with your mates. Everything has been concentrated into a much smaller space, with a streamlined menu, extra specials and changes for their customers to experience. For this project we worked alongside STAC Architecture to provide insight and advice to help bring their concepts and designs to life. 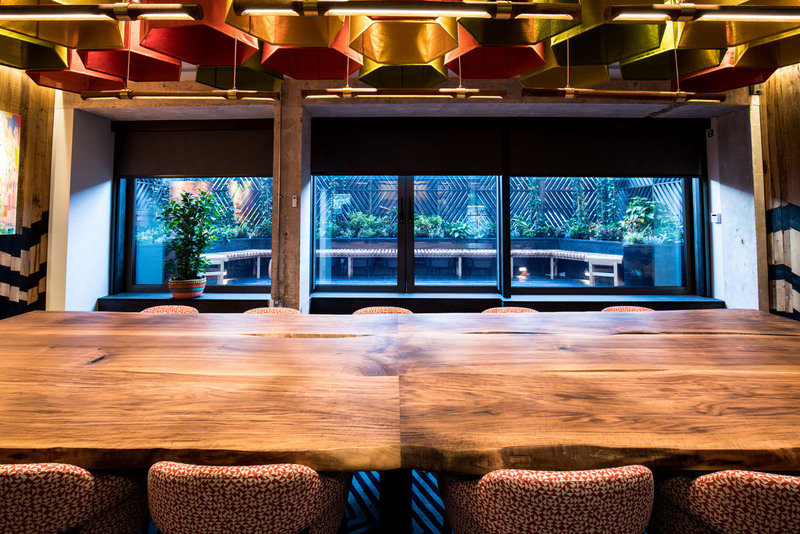 We have sourced exceptional materials to build innovative pieces of bespoke furniture that unify the theme of the design throughout the whole restaurant. 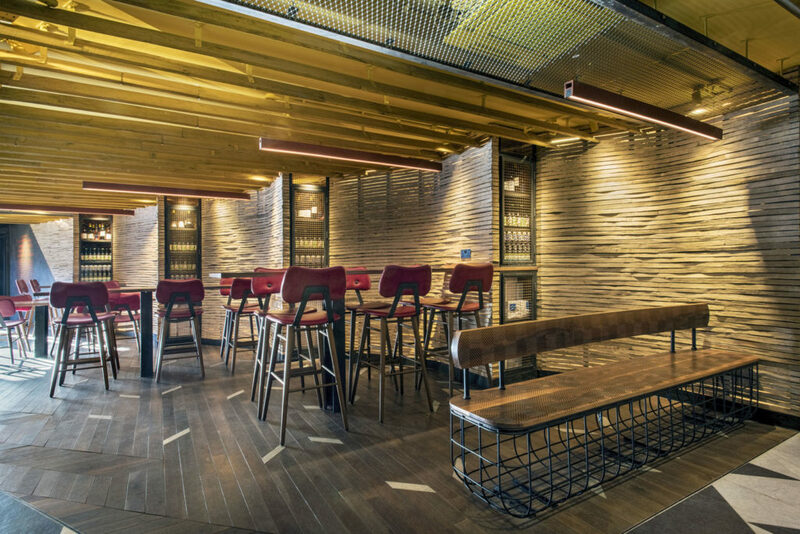 We provided a selection of large pieces of live edge timber for the architect to choose from and all were in agreement that English Walnut would be the ideal choice for this statement Nando’s restaurant. As this type of wood is now typically harder to acquire, we sourced several Walnut slabs from a number of local timber mills, bringing them together into a unique collection of cohesive furniture. Our statement piece is the Walnut party table that sits proudly in the restaurants window. It has been created with an impressive live edge English Walnut slab that was locally sourced and lovingly finished by hand. 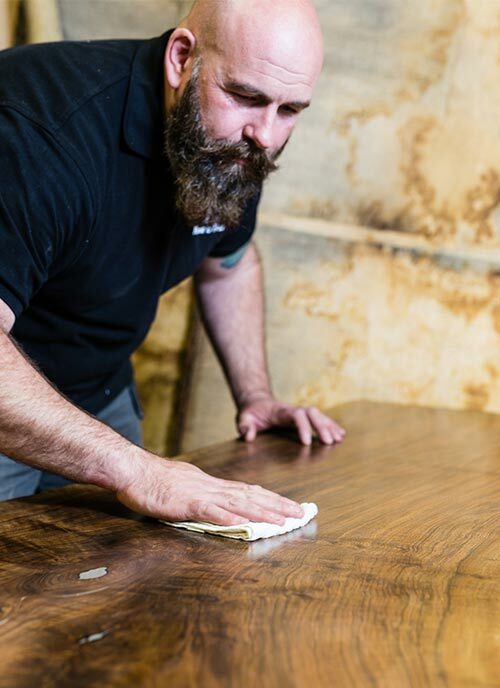 The edges have been smoothed and all the natural cracks have been sealed so it is a hard-wearing, food safe and durable table, ideal for banquet dining. All the complementing Steel fabrication underneath was also completed by the Forest to Home team. Three Walnut shelf tables, impressively supported by accompanying metal bases and large enough to seat families or groups of friends. A Walnut and blackened steel waiting bench. The wood has been CNC cut with the Nando’s recognisable pattern and ergonomically curved for comfort. The steel base, fabricated by the Forest to Home team, is a unique and complex design, showcasing our abilities to amalgamate materials together to form stunning furniture pieces. A Walnut shelf to be used as a smaller table for intimate dining. Four Walnut table up-stands that compliment the statement pieces in the room but have stand-alone elegance themselves. 140 Walnut inserts for the concrete bar top to continue the Walnut theme throughout the restaurant. A Steel banquette to encapsulate the leather wall mounted seating. Bespoke furniture for worlds first ‘Nino’ Nando’s.